A classic duvet cover set made of the finest linen, this design will make a simple but distinguished addition to any bedroom. Reverses to plain dyed cotton percale. Pre-washed for added softness, this duvet will become even softer the more it is washed. Available in three gorgeous pastel shades: Duckegg, Blush and White. 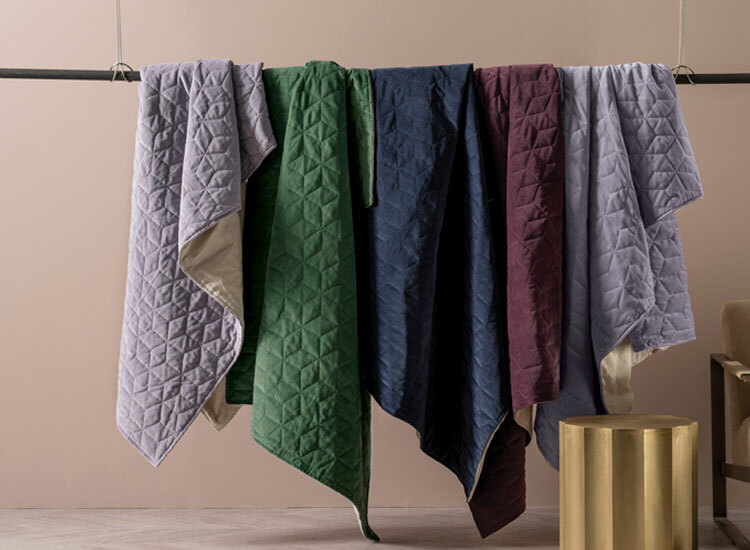 Coordinate with the matching quilted pillowcase sham or mix and match colours for a more casual look. Wash separately before first use. Cold gentle machine wash inside out. Remove promptly from machine. Do not bleach. Do not tumble dry. Line dry inside out. Warm iron if required. Do not dry clean.